Living in the UK, you get used to rain… and with rain comes… mud! If you do happen to walk some onto your pristine cream carpet, do not panic! Today’s blog tells you how to remove mud from your carpet. So how do I remove mud from my carpet? Firstly, let the mud dry. Yes that’s it! You might find this step frustrating, and will probably want to clean it up quickly before it dries, but resist! Just let it dry. Once the area is fully dry, hoover it up! … yes, that’s it! In the majority of cases, there will be no sign of mud left after you have completed this 2-step process! 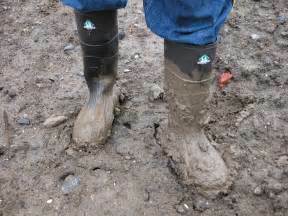 If there is still evidence of mud, please don’t be tempted to pull out all your cleaning products. Believe it or not, these can actually make things a lot worse! Furthermore, if they aren’t fully rinsed out, they can leave a residue which can attract dirt and result in future stains! If the above method doesn’t work, then give Careclean a call for advice or to book a free cleaning quote on 01245 323989.